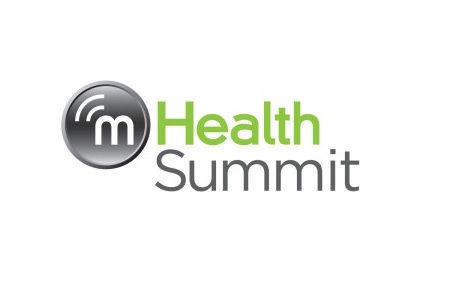 The 7th Annual mHealth Summit is fast approaching. This year, the 4-day conference will be bigger and better than ever before, exploring the impact mobile health, telehealth and connected health are having on healthcare delivery, clinical care management and patient/consumer engagement. The event will also focus on how mobile solutions for health and wellness can improve the delivery of healthcare and patient outcomes. This year the event will take a slightly different format, including the new HIMSS Connected Health Conference, which has been billed as an “all-inclusive event highlighting how technology is enabling the transformation of healthcare delivery.” It promises to be the most comprehensive event in its seven-year history, incorporating industry-leading keynote presentations covering mHealth, mobile apps, wearable technology, interoperability, the Internet of Things, as well as the usual presentations to assist HIPAA-covered entities achieve and maintain compliance. The event offers attendees the opportunity to network, discuss new ideas, and learn about the latest technological advances that promise to improve efficiency, productivity, interoperability and the delivery of healthcare services. Numerous programs have been planned, with industry-leading keynote speakers attending the event and delivering presentations on a wide range of mHealth issues. Influencers from around the world will be in attendance, with over 50 low and middle income countries represented. Healthcare professionals will benefit from the ‘Rock Stars of Healthcare Cybersecurity’ sessions, where leading cybersecurity professionals will be sharing their insights on HIPAA-compliance issues, working within current regulations, developing effective cybersecurity strategies to address the increasing threat from malicious outsiders, and the best methods for detecting cybersecurity breaches, managing risk and responding to data breaches when they do occur. The ‘Inaugural Clinical Care CME Tracks’ sessions will give attendees the opportunity to learn from some of the country’s leading health systems, and listen to case studies detailing how provider initiatives are leveraging connected health technology as a strategy to improve workflow, while improving patient engagement and enhancing the patient experience. The ‘Wearables + Things 2015’ sessions will consist of a series of keynote speeches, API demos and hands on sessions covering the exciting arena of wearable technology, as well as discussing the new products and services now available to healthcare providers. With more events, hands-on sessions, Q&As, workshops, keynote speeches and learning sessions than ever before, this year’s event promises to be the best yet, and the most rewarding for attendees. The 4-day summit will be taking place November 8-11, at the Gaylord National Resort and Convention Center, 201 Waterfront St, National Harbor, MD 20745.